Semmengoh Nature Reserve is the premier destination for seeing orang-utans in Sarawak but not, unfortunately, during fruiting season, as it was during my stay in August. 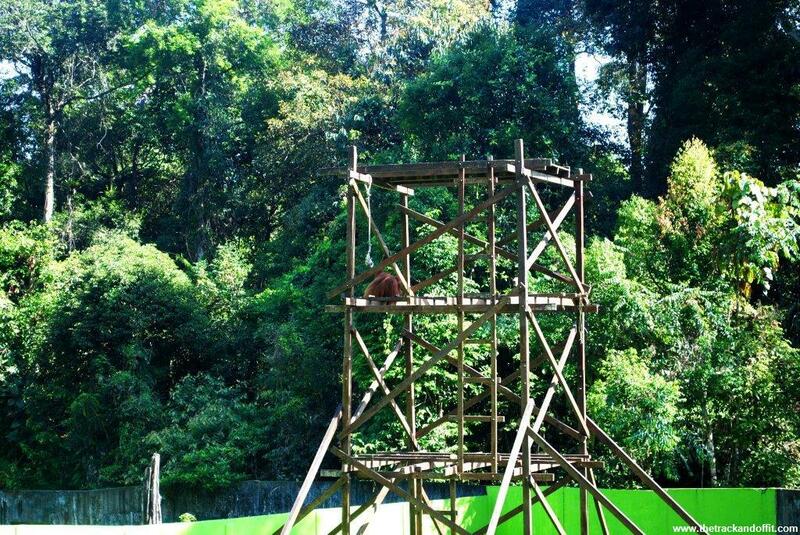 Semmengoh is one of the final stages of rehabilitation for rescued orang-utans so by this stage, when there is a lot of fruit growing in the jungle, the animals don’t find the need to return to the centre for feeding and prefer to live in the ‘wild’, foraging for themselves. I heard of a number of folk at the hostel I moved to (bit different to my fancy hotel but in the centre of Kuching) who had made the trip out to the centre to see nothing but orchids. 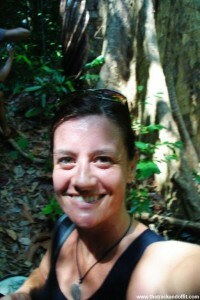 So my new pals at Borneo Seahare hostel, George and Pal, and I decided to take a few steps back in the process and head out to Matang Wildlife Sanctuary. 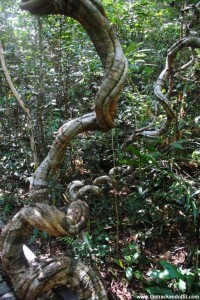 It’s further from Kuching city than Semmengoh and nestled in the jungle. Matang is the first step in rescuing abused and mistreated animals so some can find it a bit depressing. 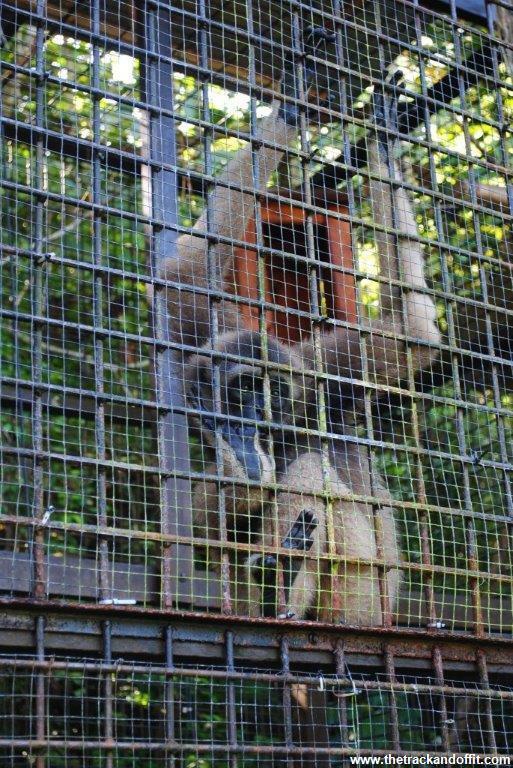 At this early stage, some of the animals are still terrified of humans and some even prefer what can seem like inhumane cages. 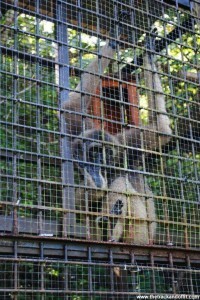 For example, it was quite sad to see the gibbon in his cage but I don’t think he wanted to be out in the wild. 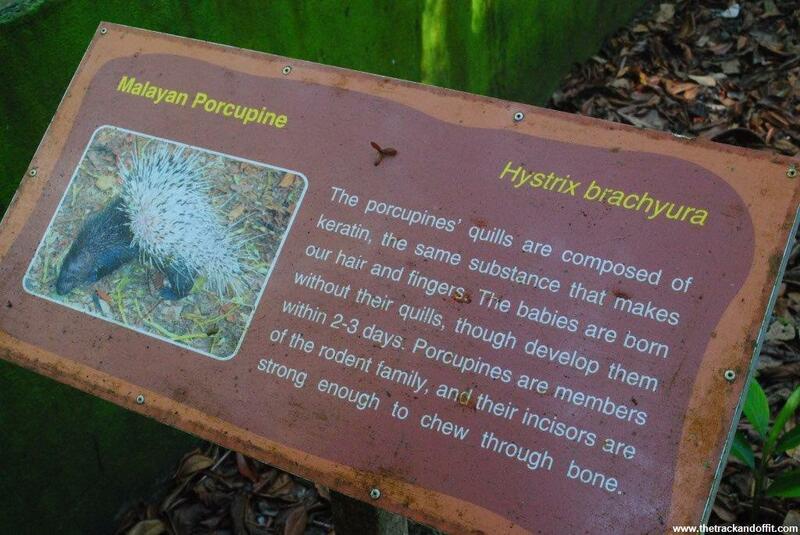 He took a dislike to Pal and threw rambutan skins at him. 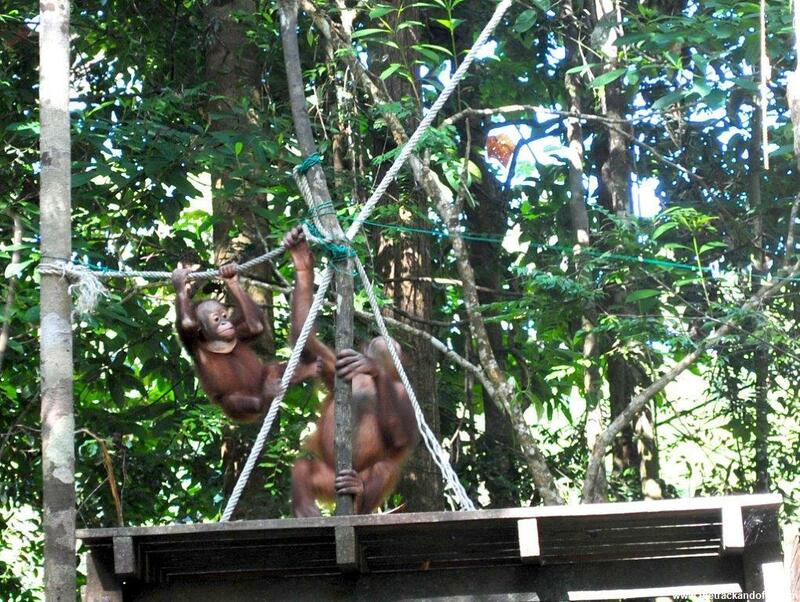 There are more than just primates at Matang. 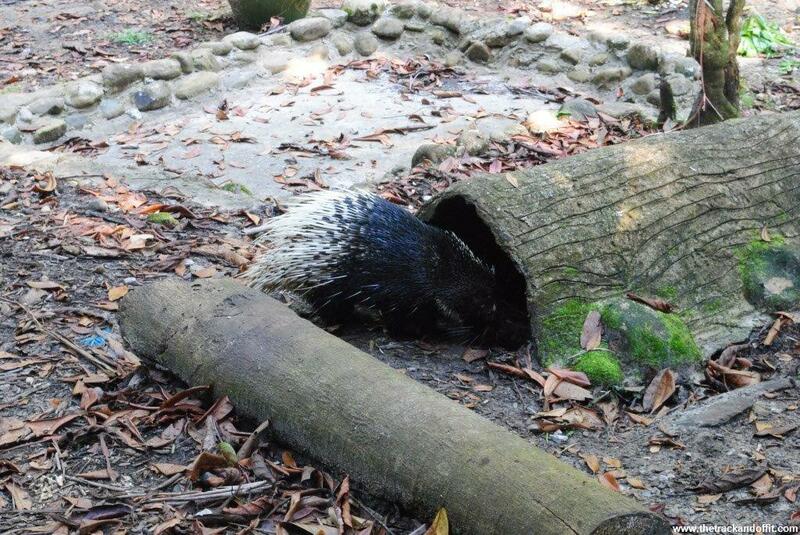 There are snakes, turtles and crocodiles and a shy Malayan porcupine. 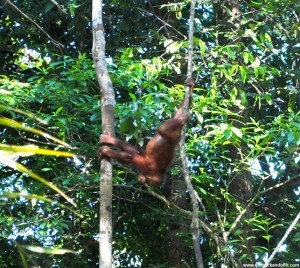 We saw quite a few young orang-utans being rehabilitated, swinging from the trees, interacting with some of the rangers. It was nice to see progress being made. 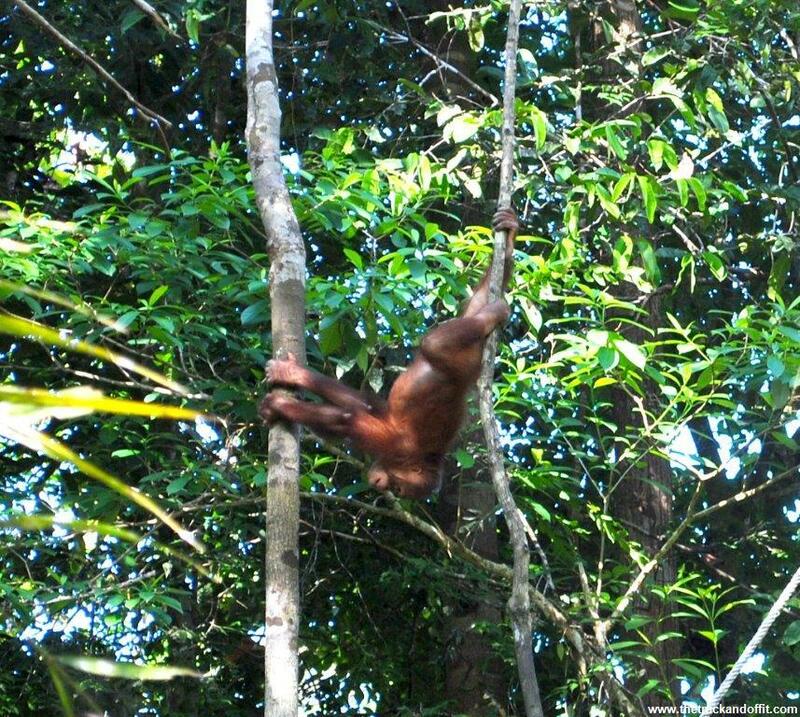 Some of the older orang-utans have been at Matang for years and likely to stay there. They were in large enclosures, similar to what you’d see in a city zoo. Although it can be a little sad it’s kind of comforting to realise that the reason I went to Matang was to see some orang-utans and the reason I couldn’t see them in a more natural setting was because they were busy looking after themselves deep in the jungle. Proof that rehabilitation works. 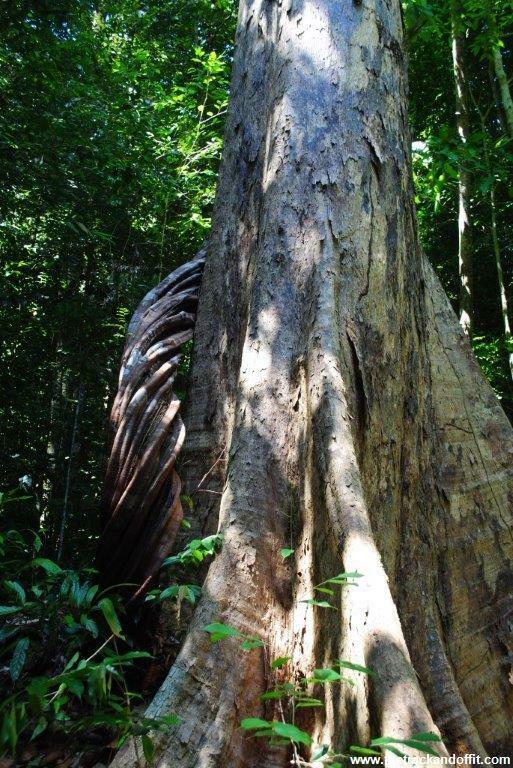 A benefit of visiting Matang is the hiking trail that links the Sanctuary to Kubah National Park. 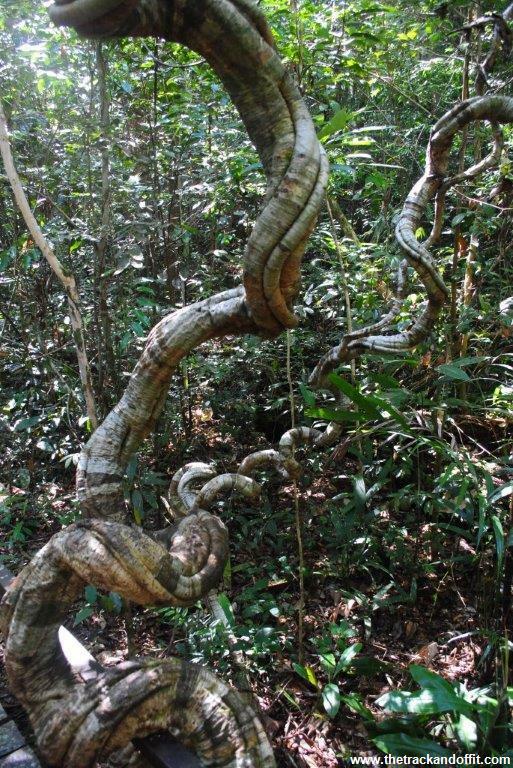 There is apparently some chance to see the wild and semi-wild animals that live around the sanctuary but we heard only birds and saw only leaves. We had a good time, Pal got attacked by a sticky rattan leaf and I remembered that hiking in the jungle is still a sweaty experience.